BioAktiv – Aktiv zu Ihrem Erfolg! 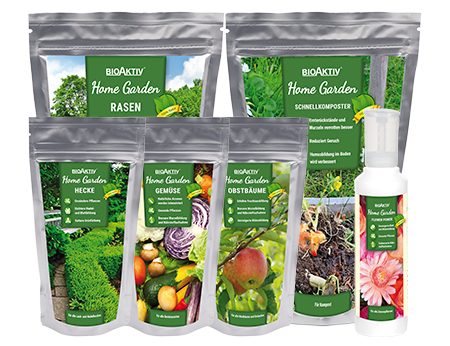 BioAktiv is a manufacturer of active biological products for use in agriculture, by hobby livestock owners and home gardeners. Since the founding of the company in 1994, its products have been used successfully not only in Germany but by more than 30 distributors around the world. In agriculture, BioAktiv products are used in animal housing, on the fields, in animal feed and in liquid manure. Our goals include healthier plants and higher yields, free-flowing and homogenous manure and improved daily weight gains and a healthier climate in animal housing. 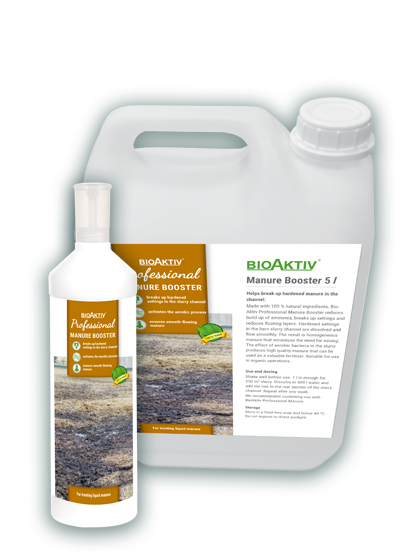 BioAktiv products have been equally successful in composting and sewage treatment plants. They have been used in gardens and parks and to help regulate the biological balance of lakes and ponds. A wealth of practical experience as well as extensive testing and studies undertaken by university researchers have proven that BioAktiv products are both cost-saving and environmentally-friendly. 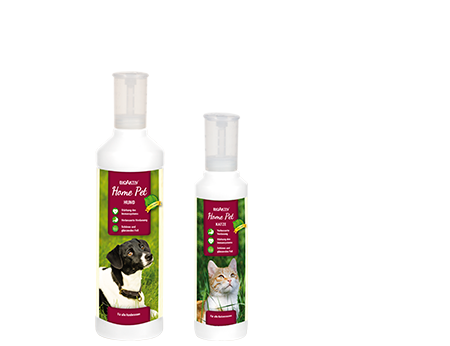 Products from the BioAktiv Hobby line help boost the health of our faithful companions, while the BioAktiv Home products provide healthy organic food. Our products can be used in both organic and commercial farming. 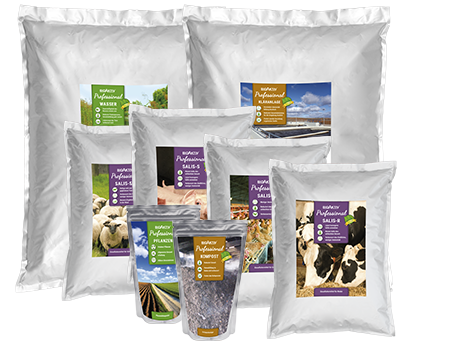 Our animal feed additives are certified under both QS and GMP standards. New products are introduced on the market only after comprehensive tests and analyses have been carried out. 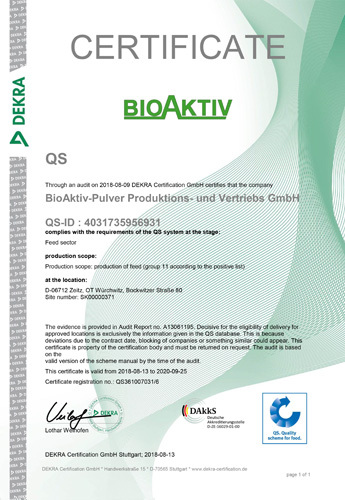 ince Oct. 2003, BioAktiv for Animal Feed and BioAktiv Salis have been certified under the QS system and meet QS criteria for mixed feed manufacturers. 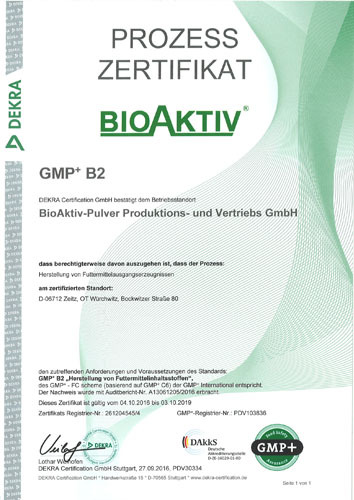 Certification to GMP-B2 standards was obtained in Dec. 2004. 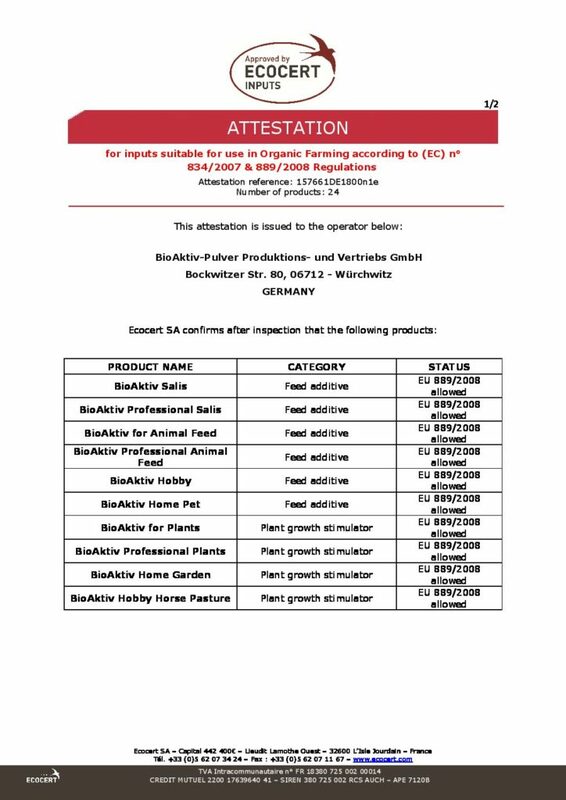 This means that BioAktiv for Animal Feed and BioAktiv Salis may now be used by mixed feed manufacturers in the Netherlands. 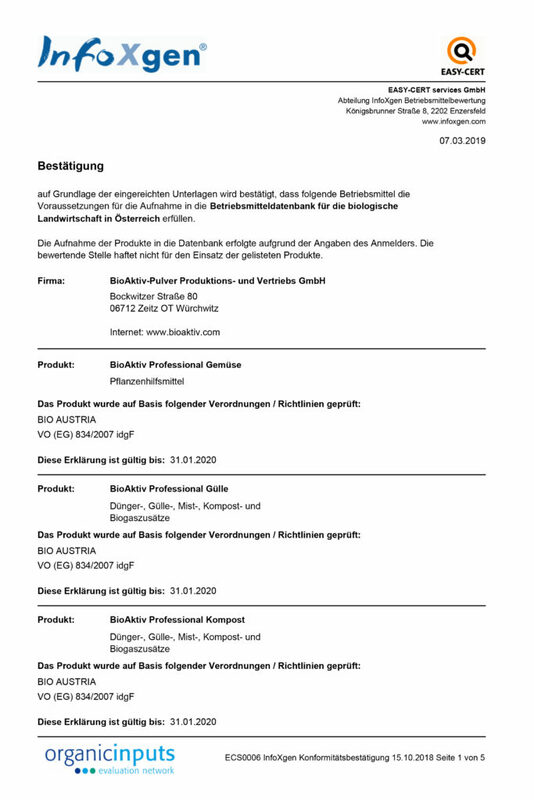 Our products are listed since 2009 in Austria in the resource catalog for organic farming and in the feed list (non-GMO ) . Product suitable for use in Organic Agriculture conforming to the annexes of the (CE) regulation n° 834/2007 and 889/2008 and / or of NOP Regulation. Inspected by ECOCERT SA F – 32600.